Thai soups usually stay on the table throughout the meal. 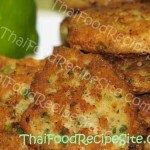 They can serve as a sauce for rice or dishes that have no sauce of their own. Some soups are very light and can be served as a first course, whereas others are more substantial and may be served as a light lunch or supper dish. Tom kha gai (Chicken and Coconut Milk Soup) is one of the thai soup that I cooked recently and it was really delicious. I made it sure that it was spicy, and the result that I actually got was a tasty spicy soup. 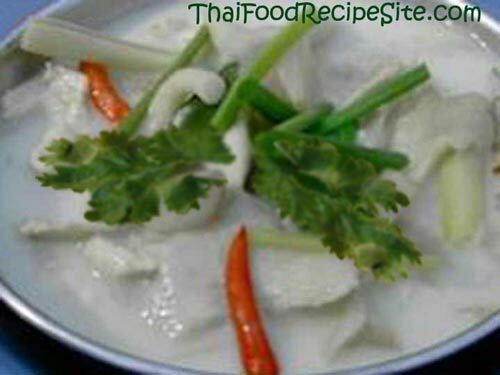 In a large pan, combine chicken stock, coconut milk, lemongrass, kaffir lime leaves and galangal. Bring to a boil over high heat and allow the soup to boil for 1 or 2 minutes. Add chicken, then reduce heat and simmer, uncovered, for 10 minutes, or until the chicken is cooked. Add the chilles and spring onions and simmer for 3 more minutes. Stir in the fish sauce, lime juice and coriander. You should taste a slight touch of lemon followed by a more salt and creaminess taste from the coconut milk. Serve immediately in warmed bowls as an appetizer or with rice. Note: You can substitute chicken with shrimp or fish as desired. Ideas: Coconuts are one of the nutritious of all the fruits and visit www.ecoconutnutrition.com">www.ecoconutnutrition.com to know more about coconuts. 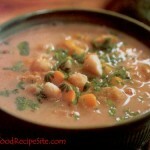 Have You Tried These Other Thai Soups Recipes?